Babystyle Oyster - keeping baby happy as a clam! 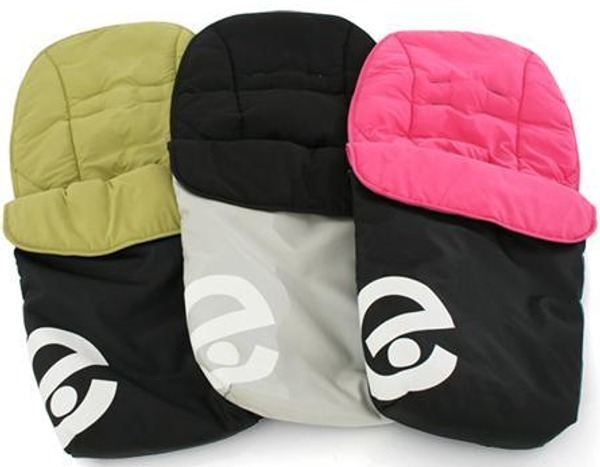 Babystyle Oyster – keeping baby happy as a clam! It’s a good thing Babyologists have their fingers on the pulse of the latest and greatest products. We like to think we have a lot to do with it, but readers are also alerting us to fabulous finds! Thanks to reader Amy for bringing the Babystyle Oyster to our attention. We think you’ll agree it’s rather smashing, both in looks and versatility. I’m constantly decked out in black so of course the Black Pearl chassis with matching fabrics appeals to me the most. Also available is the Pearl option which features pale fabrics with a silver chassis. The Oyster is so fully specced, I can’t think of anything at all it’s missing… except perhaps an Australian release. It’s the functionality of the hood with a zip-up setting and a roll down net which really grabs my attention. The wheels come off for easy travelling and the fold is incredibly compact. Also available are optional extras such as a dinner tray, co-ordinating nappy bag and colourful footmuffs. 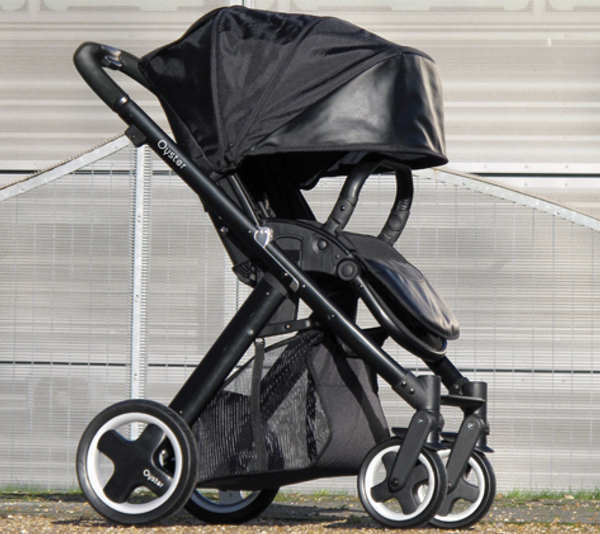 Currently, the Babystyle Oyster is only available in the UK but we’ll keep everything crossed for an Australian debut sooner rather than later. In the mean time, Lullabys will ship one to you in Australia – according to the latest exchange rate they are around AUD$640 excluding shipping. 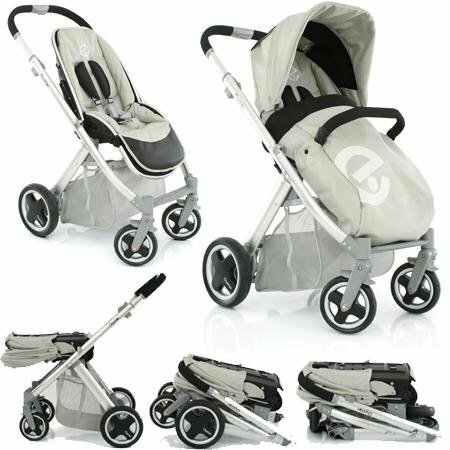 This pram might not be available locally, but you can compare the features of the ones which are available using our fantastic Chooser.